When you first hear your heart beating in your ear, you may panic. If you have never experienced this before, you may think that it is a sign of a serious medical condition. This is actually a frequent occurrence. While it could indicate a different medical condition, it may also just happen at random. You may hear your heartbeat in just one ear or in both. The throbbing sound may start gradually, or you may notice it all of a sudden when you are lying down. Even though this is mostly harmless, it may bother you if you are trying to concentrate or go to sleep. I Can Hear My Heartbeat in My Ear—What’s Wrong? Medically, hearing your heartbeat in your ear is known as pulsatile tinnitus. This is basically a fancy way of saying that you hear a rhythmic pulse in your ears that matches the beating of your heart. When it is related to a problem with the blood flow, it is called avascular tinnitus. It is estimated that about 3 percent of the people who have tinnitus have this type of tinnitus. In normal cases of tinnitus, the patient hears a buzzing or ringing sound in their ear without any apparent cause. Pulsatile tinnitus happens when the blood flow is disturbed in the back of your neck or head. This could be due to the narrowing of your blood vessels or a sudden increase in blood flow. Because of either of these things, you could end up hearing your heartbeat in your ear. Unlike other types of tinnitus, it is generally not associated with any damage to the cochlea in your inner ear or auditory nerve damage. 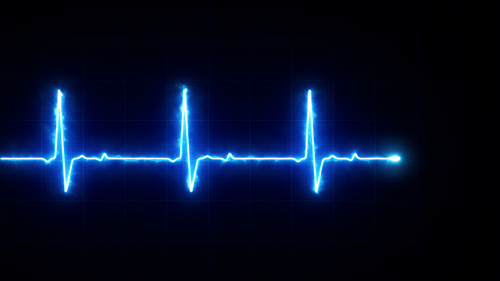 For the majority of cases, hearing your heartbeat in your ear is nothing that you need to worry about. It will generally go away on its own without any other problems or symptoms. If it does keep going and starts to bother you during your normal activities, then you should make an appointment with your doctor. If you go to your doctor about having your heartbeat in your ears, he or she will first conduct an examination of your ears. The doctor will listen to the way your blood flows through the arteries in your neck. If they hear an unusual noise, it could indicate that there is something obstructing your artery. If this is the case, your doctor may want to run tests to see if there is a malformation in your carotid artery or a narrowed artery. The results of this test can determine if you need surgery or other tests to fix the cause of the problem. What Can Cause Pulsatile Tinnitus? The most common causes of pulsatile tinnitus are listed below. When you have high blood pressure, your doctor will typically prescribe medication to help lower your blood pressure. Once you start taking the medication, you may experience pulsatile tinnitus. Normally, this symptom will naturally start to go away after about four to six weeks. If it does not go away, you may have to switch to a different medication or talk to your doctor about other treatment options. This is one of the most common causes of hearing a heartbeat in your ears. It basically means that the cerebrospinal fluid in your brain has a higher pressure than normal. This is particularly common in young women who are overweight. You may also experience other symptoms like fullness in your ears, hearing loss, visual disturbances, dizziness and headaches. To treat this condition, your doctor may recommend weight loss or diuretics. 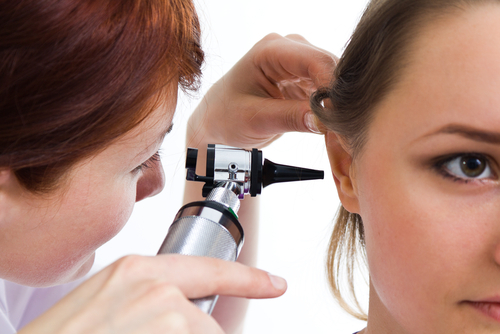 A middle ear effusion is a condition where fluid starts to build up in your middle ear. This could happen due to a problem with your Eustachian tube, an infection or an inflammation in your middle ear. You may also experience symptoms like fullness in your ears, hearing loss and pain. This condition is treated with decongestants, antibiotics, surgery or nasal sprays depending on the cause and severity. This is the medical term for when your carotid artery becomes narrowed. This could be due to cholesterol blocking the artery as it builds up along the artery’s inner wall. This condition is more common in patients who are older. Risk factors for the illness include having high cholesterol, high blood pressure, diabetes, smoking or angina. It can be treated by using a medicating to fix the underlying cause. This typically occurs in people with anemia, thyroid disorders or who are pregnant. It causes increased blood to flow through the jugular vein in your neck, which causes a humming sensation. These types of lesions basically make an abnormal connection between your veins and arteries. When this happens, it causes disturbances in the way that your blood flows from your arteries to your brain. These lesions are extremely, extremely dangerous. Left untreated, they can cause bleeding in your brain. Your doctor will typically treat this kind of condition using an embolization or surgery to close off the abnormal blood vessels. When arteries are twisted in your head or neck, it can cause changes in the blood flow. This can cause you to hear your heartbeat in your ears. This non-malignant tumor can occur at the base of your skill or in your ear. Blood vessels become intertwined to create a throbbing sensation and can cause hearing loss. In younger patients, the tumor can be removed. Since the tumor grows extremely slowly, it may not be removed in older patients at all.